"As a couple who over the years have bought and sold homes and/or property in four different states, we are happy to say that we've never had a Realtor who has served our needs better than Pam Hyer. Details, options, integrity: that's what we expect from a Realtor and Pam's the gold standard. You won't do better!" "We have dealt with many Realtors over the years but not until we found Pam Hyer at Bear Creek Realty did we find someone we felt we could totally trust. We sold two houses and bought one through Bear Creek. Pam and everyone at Bear Creek were extremely professional and very caring. We never felt they were looking out for their commission, just for our satisfaction. We would highly recommend Bear Creek Realty to anyone that needs real estate assistance in the area. Pam and associates are all wonderful people. "My experience with Bear Creek Realty has been wonderful!!! Pam made every aspect of my house purchase effortless. She was always available to answer any questions I had and handled all the details, making my whole experience very pleasant. She also worked hard to arrange the home and termite inspections and personally attended them so that if any problems were found she could explain them to me. Pam and her Associates at Bear Creek Realty show that they care about you as an individual. Friendly, caring and courteous service sums up my experience. I have recommended Bear Creek Realty to all my family and friends." "Pam - We want to thank you for the great service you provided in helping us find our cabin in Rabun County. We especially appreciated you listening to hear what we really wanted and then tracking down various options that would fit our needs. When the right one came available, you followed up quickly to make sure it didn't get away. You gave us great councel every step of the way to make sure we bought at a fair price and that all details were taken care of in a very professional way. Through it all, we really enjoyed working with you. You became a trusted and reliable friend and that made the experience special for us. We would give you our highest recommendation for the great work you did and the consideration you showed for our needs from start to finish. With much appreciation,"
"Late in 2007 we worked with Pam Hyer, owner of Bear Creek Realty in Dillard, GA to purchase our "get-away" home tucked deep in the mountains above Clayton. Initially shopping the internet for homes in the area, Pam responded to an e-mail request we sent her on a property she had listed. Chatted and e-mailed back and forth with Pam a few weeks before scheduling a trip out. During this time, Pam was gathering the list of possibilities based on our wish list. Probably not the average client, we made an offer first day out. During that outing there were a couple of homes with possiblities, but late in the day she took us to the one meant for us. There was no doubt in our minds that was it. During the negotiation process, Pam dual represented us and the seller since this was one of her listings. Pam articulately explained the issues involved with dual representation and presented the choices we had. From start to finish we never experienced a cleaner, more upbeat closing. Smiles all around, both seller and buyer. Every negotiating item was met. Much of the follow-through on negotiating items was personally overseen by Pam in our absence. Arranging for satellite TV service, local contacts for gravel, home improvements and county services were all part of Pam's offerings. Pam made it a truly enjoyable experience. Since purchasing our vacation home from Pam, we've maintained what genuinely feels like a long-term friendship based on the warm, caring, HONEST way she treats people and conducts business. Wehighly recommend Pam as a Realtor and a friend! Oh, yes - we love our home in the mountains." We closed on another one! I was just thinking...that is the seventh piece of property you have helped us with over the last three and a half years. Cristy and I were talking and she said we should write to thank you for all the help you have given us, both a our buyer's agent and seller's agent. We really appreciate your attentiveness to us as clients, but just as importantly, your attention to every detail in each deal. You always seem to think of something no one else has thought of, which has averted possible disaster on a couple of occasions. It seems you always know what to say to keep a deal moving and you have always been there when we need you...and we appreciate that. You should be proud of the professional manner in which you run your business! As clients, we really appreciate it! Thank you Pam!" "It is rare to find a Realtor that cares as much as Pam Hyer and Bear Creek Realty. When we decided to buy our mountain home we didn't know how much we didn't know. From the time we made the first offer until the closing, Pam worked with us to make sure everything went smoothly. The best part of working with Bear Creek Realty as been the after sale care. Because we live an hour and a half away, we can't keep as close an eye on the house as we would like. Pam routinely checks on the house and lets us know if there are any concerns we should be aware of. It is so comforting to know how much she cares about every buyer's house and every buyer's family. Whenever we need some help, she comes through. A prime example of this is during the winter months. It often takes several hours for the house to heat up. When we know we're going to be up for the weekend, we call Pam and Marcia and they are great at going up to the house and adjusting the thermostat to warm the house up. We reap the benefits that they provide. We feel like family and that gives up peace of mind. It's not the presale attention that has us sold - it the after sale service that we appreciate. We love our house in Wynngate and we love Bear Creek Realty too." "We purchased a home in Clayton, Georgia a little more than two years ago. At that time we were living in a condo in South Florida. We found Bear Creek Realty on the internet and although our retirement home search began in North Carolina, something compelled us to stop by and see Pam Hyer. We're sure glad we followed our instincts and drove down to see Pam. We have never had a better buying experience. Not only did Pam ask all the right questions before we went out and looked at properties, she took the time and made the extra effort to show us the entire area, even an out of the way ride to Tallulah Falls to show us the sights. Pam went way above and beyond the call of duty! Needless to say, by the end of the day we had put a deposit on our little dream house. Pam continues her excellent service by communicating with us by phone and e-mail during and after the sale. Finding us a property manager so we could rent our home before we came to stay, sending us e-mails with pictures of the completion of the inside of our home and the first snowfall in Clayton that year. She also helped with information about the area periodically until we actually moved here last August. We consider Pam Hyer and her associates at Bear Creek Realty our personal friends and give her and her staff our highest recommendation." "Last spring, we began looking to move to the Clayton area to escape the summer heat of South Georgia when we retire. Pam Hyer was recommended to us by some cousins with whom she had worked when they moved to the area. They were both delighted with Clayton and with Pam's services. Pam began showing us property to acquait us with the area and we ended up looking at property in three states. Pam was extremely patient with us, as we had somewhat differing ideas as to what was most important to us. I'm sure that it took us quite a bit longer to make up our minds than it does most people. We were finally able to settle on a piece that we both really love, but then it took some time and legal work before we were able to close. Pam steered us through all of that. We appreciate her hard work and would highly recommend her to anyone looking to buy or sell property in the Clayton area." "Dear Pam- Cristine and I are just writing to express our deep appreciation for the welcome you have given up to Rabun County. Last year when we started looking for a cabin, you were extremely helpful. Once the deal was in place, you kept us posted on progress and took the necessary steps to ensure that the closing went off without a hitch. We are both impressed by your assistance after the sale was done, when most Realtors forget your name. You continue to be there for us, providing local contacts, and assisting with little things that come up, such as forgotten keys. Thanks so much for all you do. We have recommended you and Bear Creek Realty to others, and will continue to do so." "We would like to commend Pam Hyer, our agent with Bear Creek Realty, for taking the opportunity to assist us with the viewing of properties that met our needs while listed in North Georgia and Western North Carolina. Pam Hyer was very professional, honest, knowledgeable and courteous in finding information in the area, taking the time to show us various lots and answering all our questions. We'd like to say "Thank You So Much!" for all your time and efforts spent with us. You really satisfied our needs. We would highly recommend Bear Creek Realty to all our family and friends that may be interested in moving to your area. Thanks again!!!" 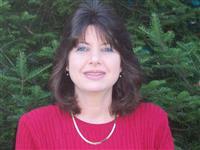 "Pam - I would like to express my appreciation to you and your Bear Creek Realty staff. You provided us with service that is rarely found. Obviously you listen to our customers and respond to their desires. Due to your listening and service you found exactly what we had described to you on our 2nd meeting. You made purchasing our home a pleasant experience from start to finish with no wasted time. Again, thank you for listening and your exemplinary service. "Laurie and I decided to relocate a couple of years ago. We were looking for a beautiful area that had mountains, good people and recreation that we enjoy. We looked in Tennessee, Maine, Minnesota, Florida, North Dekota and Georgia. In doing so, we have worked with several different real estate agents. Out of everyone we have worked with, we can honestly and full-heartedly say that Pam Hyer was the best. She broke her own record in showing us 63 homes in one week. This was possible because she was multitasked. She planned and mapped out a route every day that made it possible to see all our selected listings in such a short time. She was very familiar and knew the area like the back of her hand. Pam is very professional, patient and thorough. We have already recommended her to associates. We would definitely use her again in a heartbeat without hesitation. We highly recommend Pam to any and everyone who is looking for a home." "Zak Treff is an excellent asset for Bear Creek Realty. Although I have known Zak since he was a young man, I had not known him as a business person. As a recent graduate of Georgia College and State University, Zak was new to the real estate field when I was searching for a real estate agent. Should I take a chance on a newcomer? I am so glad I decided to give him the opportunity. My home had been listed with another company for over a year with little action; however, Zak had a contract within 5 weeks. To add to that, he had a second contract on another piece of property of mine within weeks of the first. Amazing! His attitude, honesty, assistance and professionalism during the entire process was beyond expectations. He was encouraging and positive to me at all times, and he knew what he was doing through each step of both sales. There was never a time that I was concerned about his handling my property. I am so glad I gave him a chance to prove himself and he certainly did a wonderful job. I would highly recommend Zak Treff and Bear Creek Realty for either buying or selling any real estate in Rabun County, or elsewhere. "